The Smart-Kids Skills Comprehension Workbooks for Grades 4-6 have been developed to focus on particular skills or concepts that children in these grades need to practice. 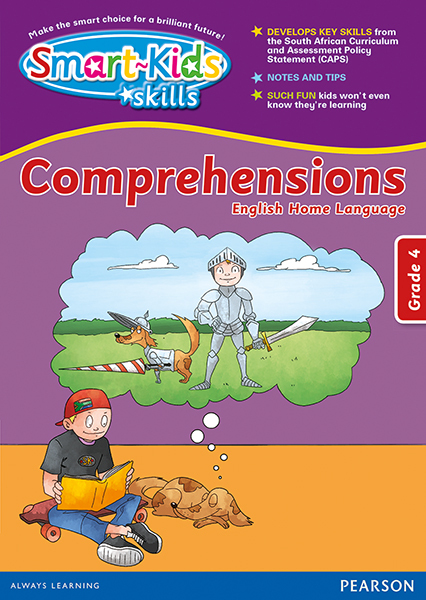 The Comprehensions Workbooks are filled with a variety of interesting texts and provide graded practice and extension. Smart-Kids Skills Comprehensions Grade 4 develops key skills from the South African Curriculum and Assessment Policy Statement (CAPS). The book includes notes and tips for parents. Such fun kids won't even know they're learning!